Most firms consider the lost customer a lost cause. In this recession period, PRISM Research proves that winning back lost customers can be a rich source of renewed revenue and customer loyalty for any firm. With the average company losing 20 to 40 percent of its customers every year (for Web-based companies, defection rates are substantially higher), it is imperative that firms create outsourced strategies, not only for acquisition and retention but also for win-back. In the field of Customer Retention & Win back PRISM Research is the big giant, providing the world class services in U.K. and entire world. We are committed to delivering quality research. We are a complete Market Research Company to serve your business needs. 3. Winning back lost customers. decide where or not to invest in the market. only make ad hoc transactional Win Back activities. The definition of Win Back is: “A structured process for regaining the most loyal and profitable of the lost customers”. become new customers. Further research reports have concluded that the CLV (Customer Lifetime Value) of a regained customer will not be the same CLV as before the customer defected. Therefore Loyalty Managements Win Back concept differs between the First CLV (CLV before defection) and the Second CLV (CLV if regained). * The company might have improved its customer service or changed other factors that caused the defection. 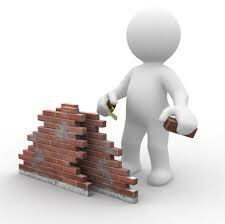 less interested in competitors’ communication and it will be more difficult for a competitor to entice him away. defection, and might thus become a Total customer with a higher Retention rate and a higher CLV. Before a company decides whether to try to win back defected customers it needs to realise that not all defectors are worth winning back. 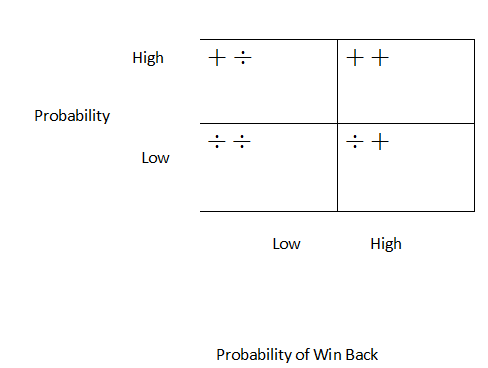 Thus it is wise to at least segment lost customers into a four- quadrant matrix based on two criteria: The profitability of the second CLV and the probability of winning the customer back. The figure below shows the matrix.